HTC was at one time the hottest thing in Android phones. HTC was responsible for the flagship G1 the first “Google” Android phone that hit the market. After a slight downturn in 2011 and 2012 it appears that HTC is back full throttle with Android. Their HTC One M8 is one of the most desirable Android phones on the market. The company has also said that they are keeping it’s eye on the wearables market. 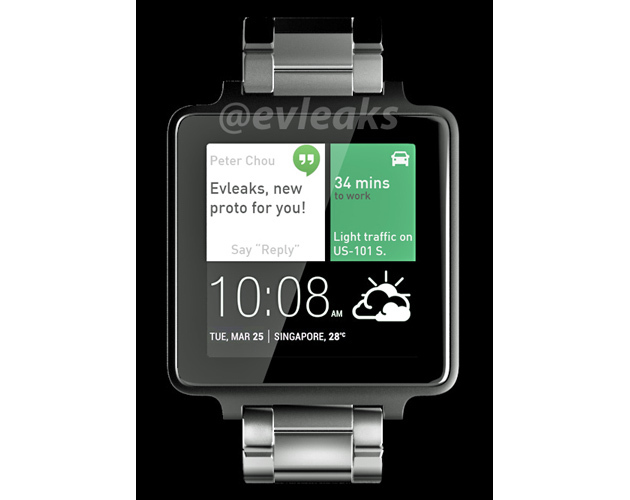 Androidandme.com reported Monday that famed and often times correct, leaker evleaks posted some artist renderings of what is believed to be HTC’s first Androidwear smartwatch. The popular Android site also found what looks to be a glimpse of HTC’s first smartwatch in a video the company posted about the importance of design. 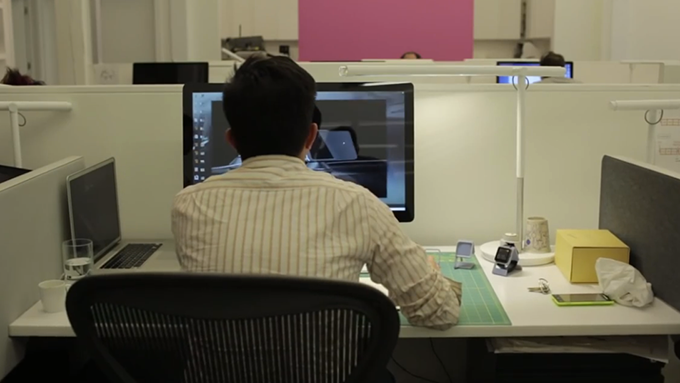 The video chronicles many HTC design offices and HTC’s design time talks about the values of design to the company. At around :35 seconds into the video, you catch a glimpse of a man working at his desk. To the right of the man (in the screen grab above) you can see what could very well be HTC’s Androidwear smartwatch. Dustin Earley at androidandme is convinced that the photo looks a lot like the renderings that evleaks has posted.